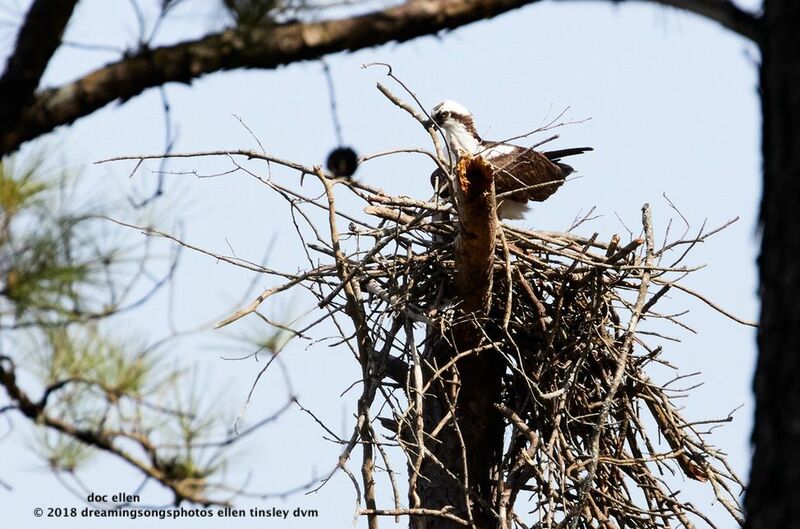 There is a new osprey nest being built in one of the coves at Jordan Lake. I wanted to share with you Dad Osprey’s work on the nest. Both parents help build the nest. This morning I caught dad hard at work. Keep in mind that each stick that is in that nest was brought to the top of the snag by the ospreys – some of the sticks are large and branched. Dad brings in sticks, rearranges them, gets frustrated but stays at work. Posted in birds, Jordan Lake State Park, ospreys of Jordan Lake, photography, raptors, wild birds and tagged as Jordan Lake, Jordan Lake State Park, osprey, osprey male, osprey nest, ospreys of Jordan Lake, raptor.